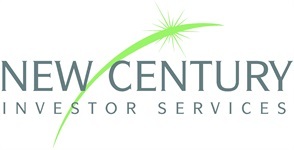 New Century Investor Services is an independent financial planning practice that is not obligated to certain financial products or sales quotas. This freedom allows us to shop around to find the products and services best suited to help our clients achieve their goals. Our vast network of outside professionals includes eldercare attorneys, long-term care specialists, mortgage brokers, college planning analysts, actuaries, and estate planning attorneys. Through well-established professional relationships, we can call on their expertise to assist in the implementation of financial plans when necessary. In-house, our highly credentialed advisors complete continuing education credits and maintain the strictest industry standards of ethics and client care. Our team includes CERTIFIED FINANCIAL PLANNER™ professionals, tax advisors and accountants, Chartered Life Underwriters (CLU), and licensed health and life agents. Wherever you are in life, the professionals at New Century Investor Services can help you reach your long- term wealth goals with personalized service and customized strategies designed exclusively for you.